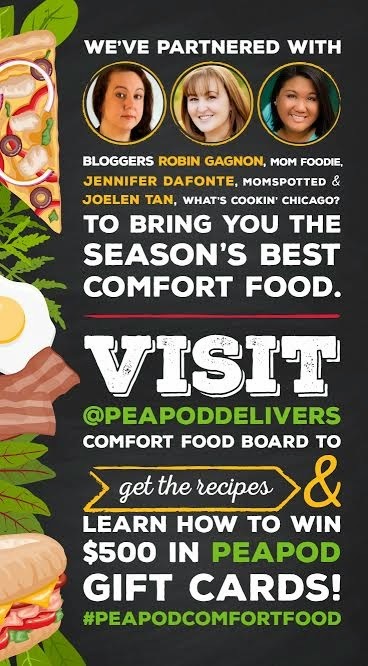 Winter's Best Comfort Food with Peapod.com! While we're getting through the winter months, make it fun and delicious by joining in and sharing your favorite comfort food recipe via Pinterest and Peapod.com! 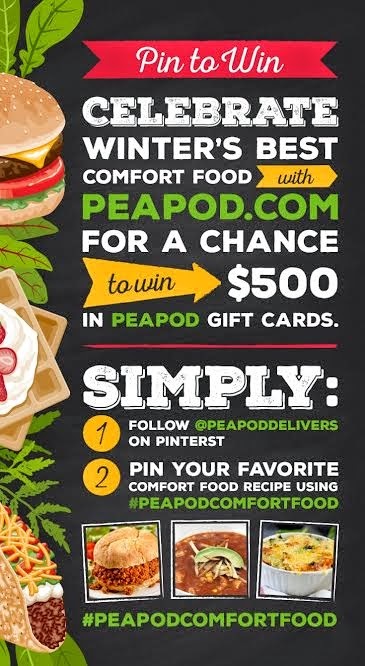 My friends at Peapod.com is giving away some amazing prices to folks that share their favorite winter comfort foods on their Pinterest board! 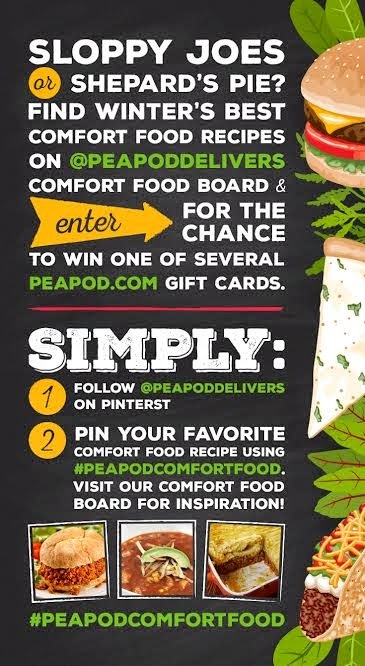 If you like to pin, then join in - Follow @PeapodDelivers on Pinterest and pin a recipe from their board with hashtag #PeapodComfortFood for a chance to win up to $500 in Peapod.com gift cards! Just imagine all the tasty meals you can create from Peapod.com's amazing grocery items that are delivered to your door! This sweepstates contest runs now through March 9th and you can even enter daily! So as you surf the web and look for amazing dishes to make for your family and friends, pin those dishes to Peapod's Pinterest page and use the hashtag #PeapodComfortFood for a chance to win up to $500 in Peapod Gift Cards!